Why Indra is not worshipped? He held his first programme in Shimoga and established the Art of Living foundation soon after. What exactly did he experience during those ten days of intense meditation? Is it true that he starved, and could barely speak later? His answers were unsatisfactory at best : “It was very mystical. Sometimes, I used to have little fruit, some sprouts. On some days I would not. In the initial stages of my programme, I would give only raw food to people. Later on, of course, I didn’t insist on that. I feel it is not necessary. “There was a lot of joy, bliss, so much satisfaction. My first Programme was with thirty doctors and engineers in Shimoga. It was for two days. I started speaking after ten days, a few words now and then. There was a mystical presence, so much temptation.” I was left wondering what the temptation was but then, divinity defies logic and begs surrender. 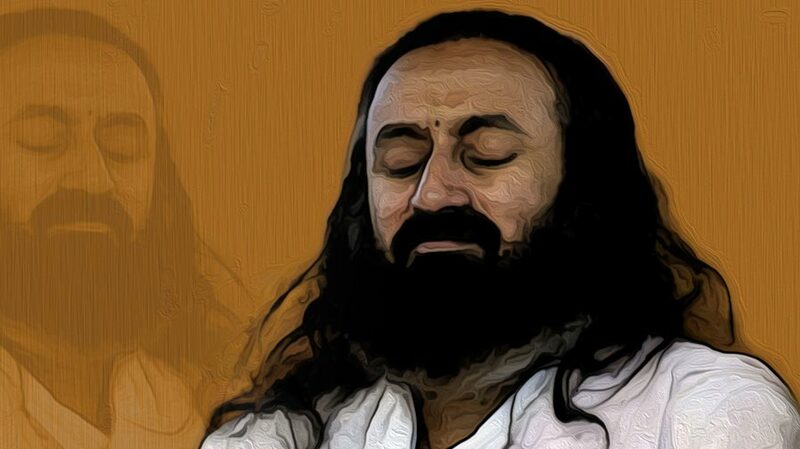 After his “mystical enlightenment”, Sri Sri began travelling the world. At this point, miracle stories - an essential aspect in any Godman’s life - abounded. A London based businessman, at whose home Sri Sri stayed, found his daughter’s thyroid problems disappearing; someone who could not walk began to potter about; someone who could not talk properly, began delivering fluent speeches. A young boy, Chetan, whose eyes would water constantly, was cured after his parents followed Sri Sri’s advice that they tie a non perforated pearl around his neck. Sri Sri, who was based out of his father’s home in Jayanagar in Bengaluru now decided to expand his operations, which he did by building his ashram on the sixty acres of land that had once housed the Vedic school, which had been disbanded by Maharishi Mahesh Yogi. In 1988, the first international conference of Art of Living was held with just eighty people attending. Then came a stroke of luck. As the young guru struggled to establish his patented breathing exercise, Sudarshan Kriya, as the pre-eminent form of meditation, he was picked up by a media baroness: Indu Jain, chairperson of the Bennett Coleman Group which owns the Times Of India. An adulatory cover story in the India Today magazine in 2000 did the rest. Had the media helped or hurt him, I asked?